Cathy will bring a trunk full of new samples with her and give you tips and tricks on how to take your quilting and embroidery up a notch. Her focus will be on using fun presser feet, decorative threads, and of course, the newest of the Baby Lock products. 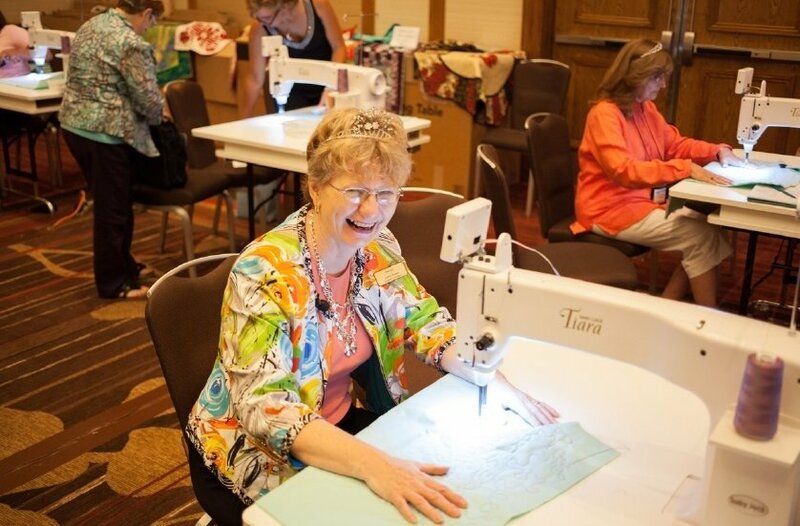 One of her specialties is quilting using the Baby Lock Tiara long-arm, sit-down quilting machine, so if you have purchased that, or have been dreaming about one, be sure to attend this seminar. Whether you own a Baby Lock or other brand, there will be lots of inspiration during this event.